Boom Lifts Time SAvers Aerial Lifts Rentals | Scissor Lifts, Man Lifts..
A boom lift is a type of aerial lift that provides a great degree of flexibility because they’re supported by a hydraulic arm with a long reach able to maneuver around obstacles and allow access to areas that otherwise would be difficult or impossible to reach. Boom lifts also extend to greater heights than other aerial platforms suchas scissor lifts – at Time Savers, we have boom lifts with reach capacities of 130 feet and higher. Another helpful feature – particularly in industrial or construction settings – is a drive speed capacity that permits users to cover significant distances without wasting time. Articulating boom lifts: these very capable lifts are a form of aerial work platforms that have multiple sections that can “articulate” at angles that allow the user to reach areas on a work site that are blocked by obstacles, barriers or other physical features. 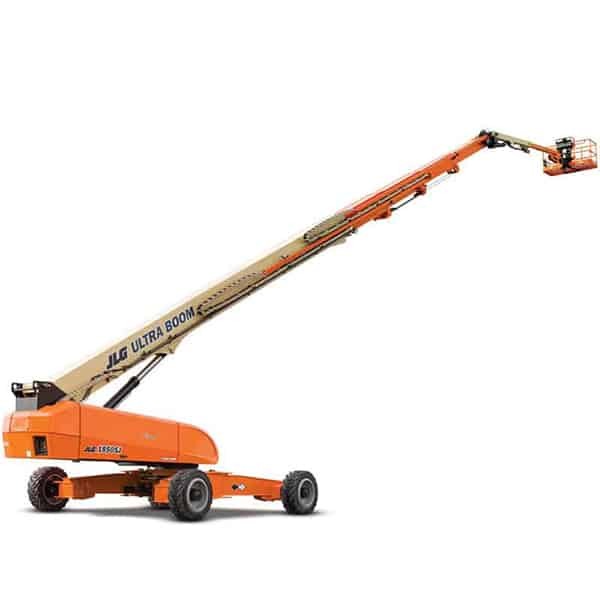 Boom lifts – you may have heard them referred to as “knuckle booms” – are very flexible and make for an effective tool on any job site. Time Savers Aerials carries articulating boom lifts with two- or four-wheel drive and high ground clearance. Telescopic boom lift: these lifts are another type of aerial work platform that features a straight up and down sectional lift arm that can extend or retract. 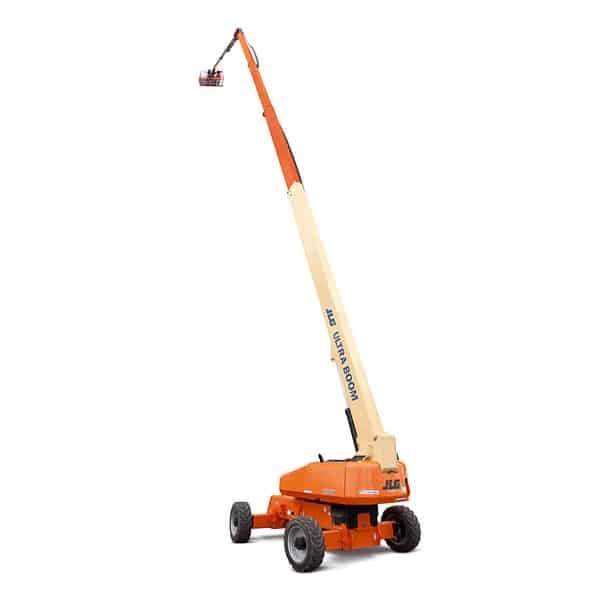 They are also commonly known as “stick booms” or “cherry pickers.” Telescopic boom lifts provide a wider horizontal movement capacity than any other kind of aerial work platform. That feature allows the user to reach limited access points and perform their tasks safely and effectively. Ideal for construction or industrial applications and, with their minimized tail swing, telescopic boom lifts are able to maneuver in limited spaces on the ground. A telescopic boom lift, like their articulating cousins, have drive speeds that enable users with effective mobility. Our company’s owner, Skip Rau, has many years of experience in the construction and heavy equipment sector. Skip continues to guide our company with integrity and an energy that makes us stand out as the best in our industry.